College Admissions: What Matters Today? Boarding School Admissions: What Are Boarding Schools Like Today, Who Should Consider Them, and How Does the Admissions Process Work? Graduate Admissions Planning: What Should Students Understand about Taking the Next Step? "Greenes' Guides have always been a source of great information and timely advice and these new editions are no exception." Howard Greene is the most prominent educational placement consultant in the country. For over 30 years, he has counseled thousands of students, and consulted to numerous colleges, universities, and corporations. He has worked on the admissions staff at Harvard, and as Director of Admissions at Princeton. 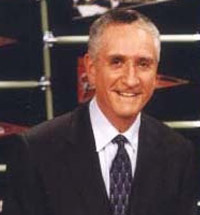 The founder of Howard Greene and Associates, an educational consulting firm, with offices in New York, Connecticut, and London, he has authored several books in the Greenes' Guides to Educational Planning series (Collins Reference) with his son, Matthew Greene. Greene has appeared on the Today Show, CNBC, Good Morning America, and CNN to discuss relevant educational issues and trends. He has been profiled in the New York Times, Dartmouth Alumni Magazine, and People, and is frequently interviewed by national news outlets. He and son Matthew are co-hosts of two PBS television programs, Ten Steps to College with the Greenes and Paying for College with the Greenes. They have written a national bi-monthly column for Knight Ridder-Tribune News Service and are regular contributors to University Business Magazine. 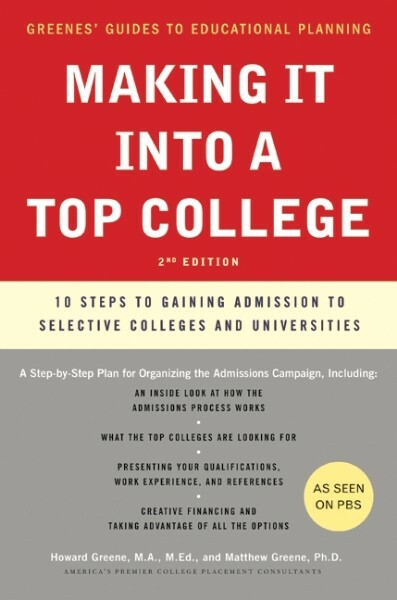 Though gaining admission to and finding the money for America's top colleges and universities proves tougher than ever, the Greenes' Guides to Educational Planning reveal the secrets of the process at the country's most competitive schools. The Greenes provide insight into what top colleges want to see, how students can enhance their qualifications, and how to maximize the campus visit and interview process, while also providing families with creative ways to finance a student's education. Greene received his Bachelors Degree from Dartmouth College in 1959, and holds a Masters Degree, with honors in American Studies from New York University, as well as a Master's Degree in Education from Harvard University. Presently, he is a member of the Board of Directors of the Connecticut Humanities Council, the State Branch of the National Endowment for the Humanities, the Horizons National Board, the Wilton (CT) Public Library, the National Advisory Council of the Berkeley Divinity School at Yale University, St. Pauls Cathedral Trust in America, and the National Domestic Violence Hotline. He is a recent past Trustee of the Choate Rosemary Hall School, and member of the National Advisory Board of the Woodrow Wilson National Fellowship Foundation. He is also a past Trustee of New Canaan Country School, A Better Chance, the American Academy of Dramatic Arts, the American Farm School in Thessaloniki, Greece and is a former President of the Dartmouth Class of 1959. Greene lives in Wilton, CT.